Do you attend a church or a ministry that you’d like to talk about to others? Do you have religious and spiritual content, holy books or other education materials to share with other fellow believers? Internet these days gives you almost unlimited opportunities to communicate with people and to create your own church website to take your community online. But we have to admin that websites of this topic are highly different from websites of other industries. 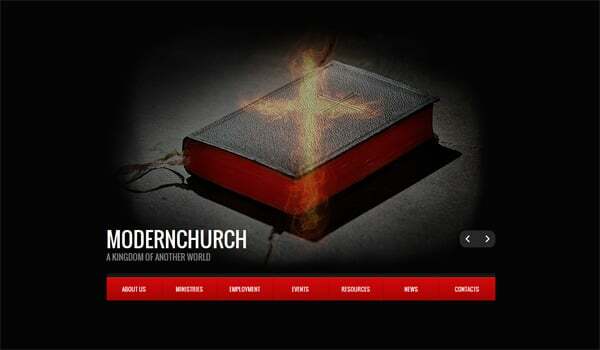 So what’s so special about them and what are the churches’ requirements for their websites? 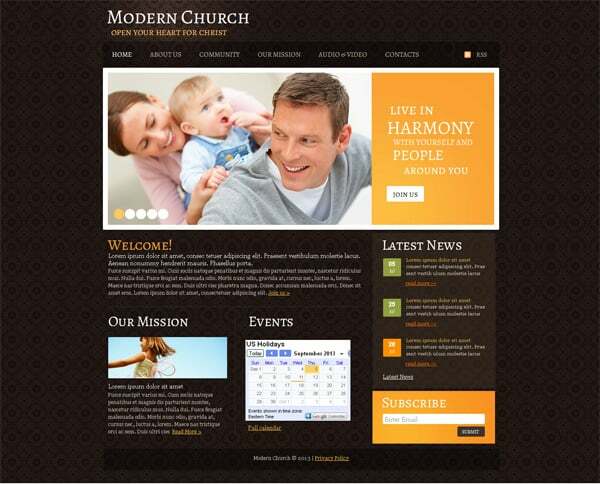 Right here and right now we’ll discuss how to choose the proper church website template. Obviously, the first thing to start your search with should be defining a reason why you or your client wants a website. Based on these goals it will be a lot easier to proceed with the website building. There can be several reasons to start building a church website, but behind each of them there must be the passion for what you do. 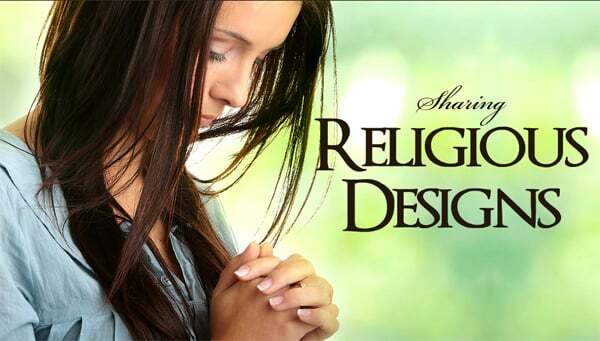 It’s a must have thing in all kinds of web design but it is especially important when it comes to religious designs. For everyone who works with a website for quite a long period it’s very easy to be dazzled with its statements, beliefs and vision. Religious projects involve you easily. In most cases it’s not a bad thing, but you don’t actually need to share the organization’s vision to be able to build a good church website. You are a designer and your religion shouldn’t influence your business activity. Impartial designer’s mind can create fantastic things, so don’t hack your creativity. Before starting your work take some time to talk with the key personalities of the community you’re going to work for. Whether you are a member of this church or not, you do need to know what your customer is expecting to get. Ask about the purpose, vision, logo, slogan, desired design elements and features. 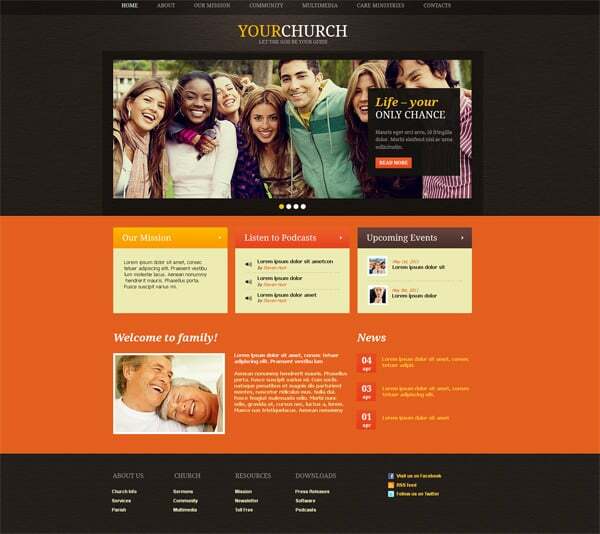 On this stage you will already be able to choose several church website templates to match the client. But that’s only a start. 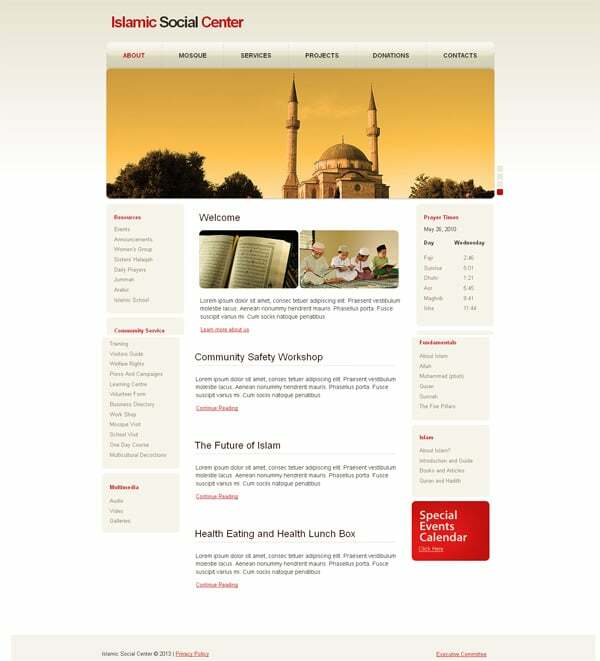 Probably you will be surprised, but various cool features are not in focus in religious website templates. 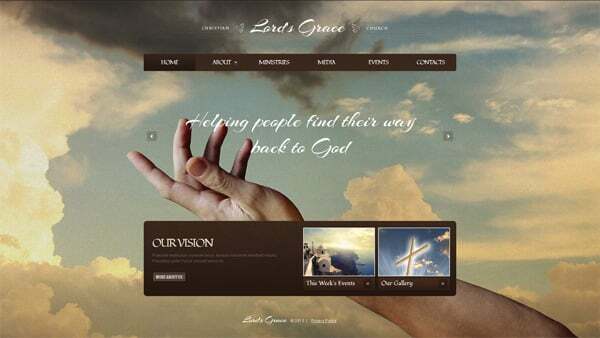 Of course, fancy sliders, galleries and other functional features do matter, but usually the entire look of the church website design matters a lot more than you think. A good design solution that you’re looking for is always designed in mild colors such as creamy, yellow, brown and gray. There’s normally one object lighted with a golden ray or from within – a book, a hand, a cross or whatever else that brings a subtle spiritual sense into the design. And spirituality is what every religious website needs the most – because that’s what the website visitors will be looking for in it. There are many hosting companies that will be glad to get you as a constant customer. And believe it or not, there are even hosting providers that offer hosting services specifically for churches and ministries (Christian Web Hosting, ECWH, Mediaserve, etc.). However be careful in this stage. 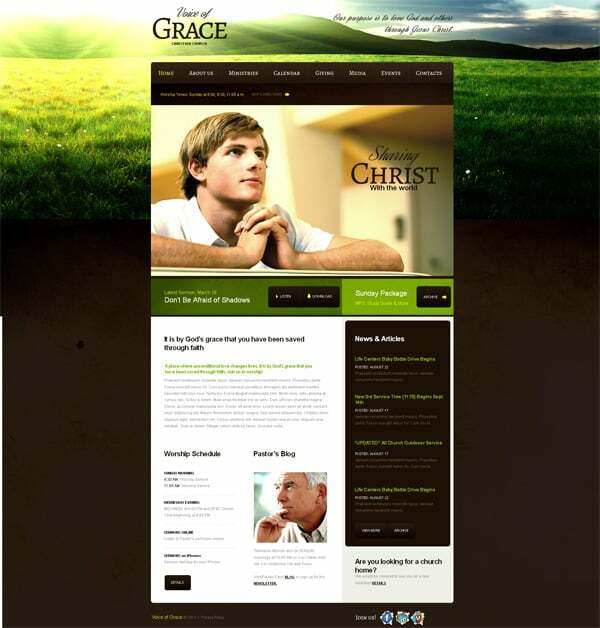 You should better see the compatibility of your religious website template and the chosen hosting providers. Different site builders and platforms have different tech requirements – don’t forget to check them in advance. If you’ll be going with one of the latest functional website platforms, you may want to turn to BlueHost hosting for example – we ourselves have been working a lot with it and had zero problems. But whatever site building platform you choose it will provide you a step-by-step guide or a wizard that will help you do everything quickly. 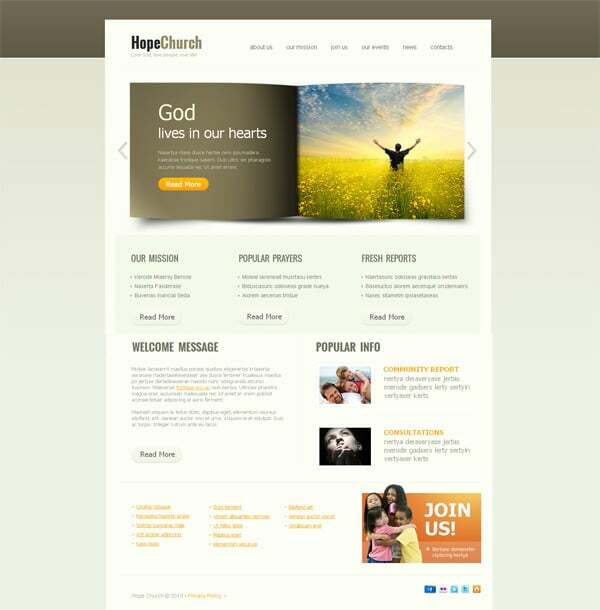 We recommend you to use church website templates because they will save your time as they were initially designed for churches and will require less of your time. It’s always good when there is no need to build a website from scratch because there are a lot of ready-made solutions. 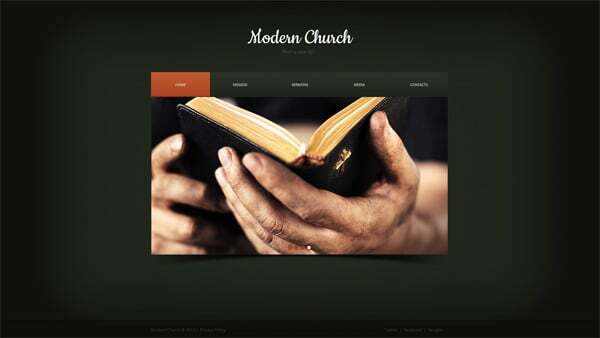 Now we’ll show you how your site can look with church website templates. Our friends from MotoCMS gladly presented their religious designs so here they are. Nice looking ones, aren’t they? Now you can start creating an online place for your fellow believers and religious organizations. 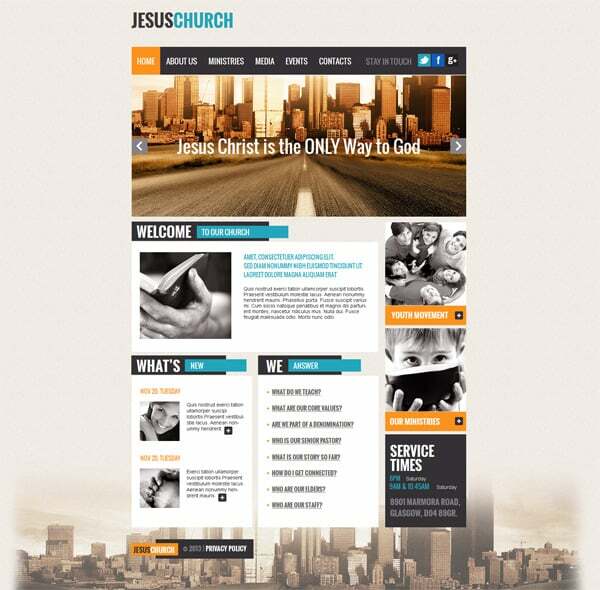 We’ll also be glad if you check out one of the church website templates by MotoCMS.